Andrew Martin was born 14 August 1892 and attended Otaio School before joining his father on the family farm, “The Grange” in Grange Road, Otaio. 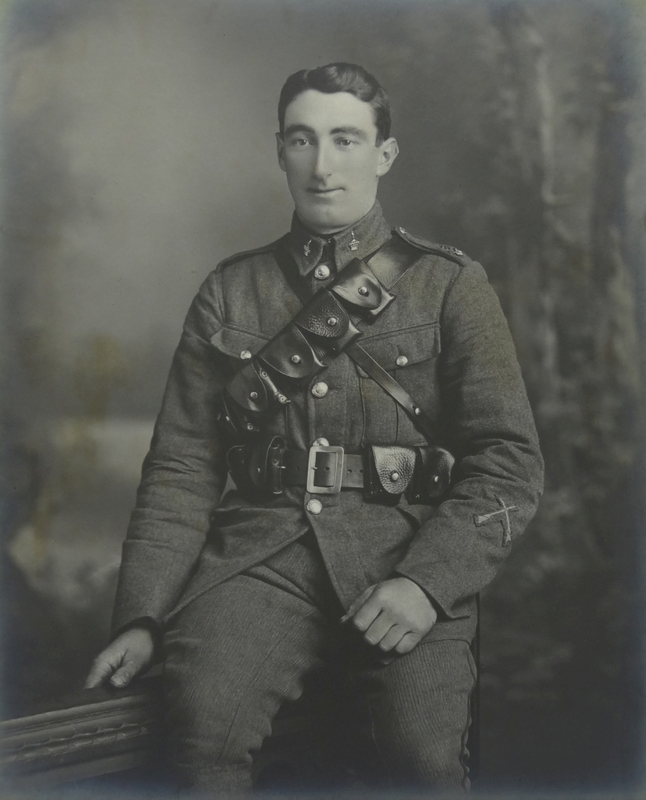 As part of the pre-war compulsory military training Andrew was a territorial soldier with the 8th South Canterbury Mounted Rifles from his 18th birthday. Although Andrew’s training finished in June 1914, he was quick to volunteer for overseas service shortly after the outbreak of the Great War on August 13th, and he left New Zealand for Egypt on 16 October 1914. He landed on Gallipoli in the first week of May 1915, and fought in the campaign until August when he was wounded in the ‘big push for Hill 971’. He was still able to walk and after a time of convalescence in England he returned to Egypt and the Mounted Rifles – just in time to help in the evacuation. On 21st November 1917, during the Palestine campaign, Andrew was shot by a Turk. The bullet entered his left thigh, and lodged near the bottom of his spine. He was paralysed, and lay out in the open for two nights. When he was found, he was carried on the back of a camel to the rail head at Jaffa and then to hospital in Cairo. Army medics would not remove the bullet for fear of damage to the nervous system and that he may never walk again. In early 1918 Andrew was commissioned to the rank of Second Lieutenant. He had learned to walk again and was sent back to New Zealand on furlough. He was posted to Featherston in charge of the 44th Mounted Reinforcements, but the war ended just before he embarked for overseas again. After the war Andrew purchased a 265 acre mixed unit farm at Morven, which he called “Rosedale”. He farmed there for over 50 years until he sold it in 1973. For 60 years the bullet lodged near Andrew’s lower spine caused him a lot of pain and discomfort. Then, when Andrew was in his late 80s he convinced doctors to remove the bullet – ‘even at the risk’. The operation was successful. 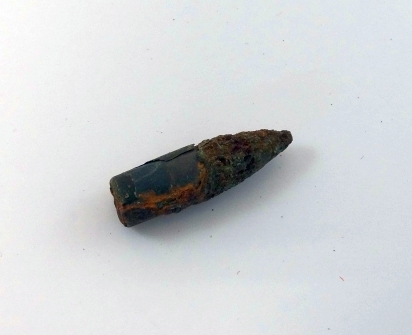 The .303 nickel-plated bullet which left a Turkish rifle almost 100 years ago was retrieved and is now held by the Waimate Museum & Archives. Andrew was active in the Waimate community, being awarded a life membership of the Waimate A and P Association and was involved with local branches of the Young Farmers Club and Federated Farmers. He was also an instructor for the Waimate Kilties senior marching team for 12 years.